New York City meets Bavaria – mehr ist nicht zu sagen. Wie lässig und gleichzeitig stilvoll man in München heiraten kann, haben K&S aus New York City bewiesen. Ein ganzes Wochenende wurde an den schönsten Plätzen der Stadt, inklusive eines zünftigen get-together in Tracht am Starnberger See gefeiert. Unvergesslich, einzigartig und absolut A M A Z I N G. Diese Hochzeit war für mich ein persönliches HIGHLIGHT. Die wunderschönen Fotos sind von Nancy Ebert und Lena Heckl. Little did we know that we would find and work with a wedding planner who blows every American wedding design studio out of the water! What distinguishes Doreen Winking is not only her attention to detail (several of our wedding guests remarked on how NOTHING was out-of-place, EVERYTHING was on time and EVERY potential hang-up was quickly remedied), but her ability to take the nebulous, ill-formed “vision” of her clients and bring it to life in a way that we never imagined possible. Since Sharp & I live in the United States, we entrusted Doreen with selecting each venue and vendor without ever seeing them ourselves! And we could not have been happier.  Every decision Doreen made – from the selection of the venues to the table arrangements to the overall color scheme to the flow of the ceremony/reception/dinner/party – was just perfect. Not to mention, her relationship with and recommendation of vendors was priceless: for example, coming from NYC where mixology is booming, Sharp and I desperately wanted “high-end” cocktails for our garden reception. Doreen found the most incredible mixologists, which ended up being one of the highlights of the reception. Sharp & I were always skeptical of the notion that one’s wedding day is the “best day of your life.” But when the wedding weekend finally arrived, the amount of joy we felt is something we will never forget. And it was Doreen’s ability to incorporate small, yet very personal, details that made it possible. I don’t know how she managed to convince the organist to play “Let it Be” by the Beatles (Sharp and my “song”) for my Einzug, but it is a moment I will never forget. Thank you so much, Doreen. While we may be slightly biased, we can firmly say that we have never attended a wedding that was more special than ours. I will miss our email and Skype conversations: you really made the process of planning a wedding both fun and memorable. We owe you so much more than you could know.